FL Studio 10, General Sequencer from Image Line in the FL Studio 10 series. Product replaced by the Image Line FL Studio 12 Fruity Edition. 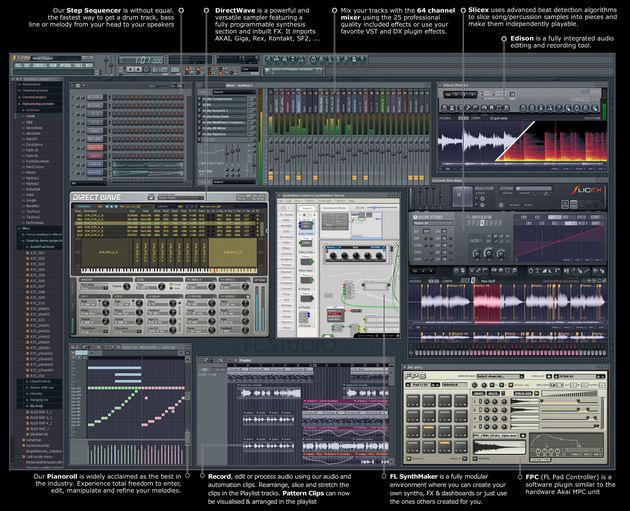 Image-Line has released version 10.0.2 of FL Studio, a music production software for Windows. Newtone: fixed visual update of param wheels & fixed crash when using undo. Patcher: fixed pitch wheel response, freeze when closing ZGE, voice deletion when removing plugin wrapper: fixed parameter name bug. FL: fixed possible hang in undo when using interfaceless VST1 plugins. FL: fixed wrong tempo exported in rendered projects after messing with steps per beat setting. FL: reversed behavior when left/right clicking on mixer arming button. FL VSTi: fixed freeze in Cubase when exporting to audio. FL: fixed note properties not always selected when clicking on notes. FL: use different charset to let Japanese characters display correctly. New FL Keys wavetable, default preset. Resaved DirectWave presets in Data\Patches\Packs to use relative filenames. ZGameEditor Visualizer now allows custom entry of text, bitmaps, 3D Studio meshes, and trigger video by cuepoints. 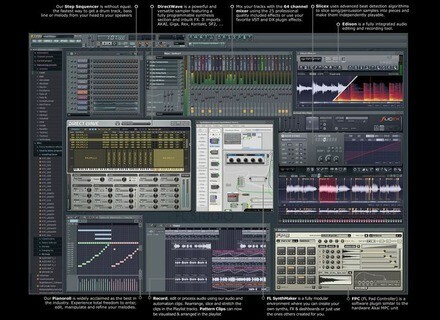 FL Studio for Windows (and Mac via Bootcamp) is available to purchase starting at $49 USD. For more information, visit the Image-Line website. Drum Nugs AfroDiaspora Drum Nugs has announced the release of AfroDiaspora, a collection of 140+ Afrobeat, Afro-Jazz and Afro Soul influenced drum and percussion loops. Audio Impressions Brillanti Philharmonic & Early Brass Audio Impressions "Brillanti Philharmonic & Early Brass" contains 54 Brass instruments recorded in London at Phoenix Studio in 192 kHz and 24-bit depth following the concept of 70 DVZ Strings. Best Service Distributes Seventy DVZ Strings Best Service is now the European Distributor for Audio Impressions - in particular Seventy DVZ Strings.